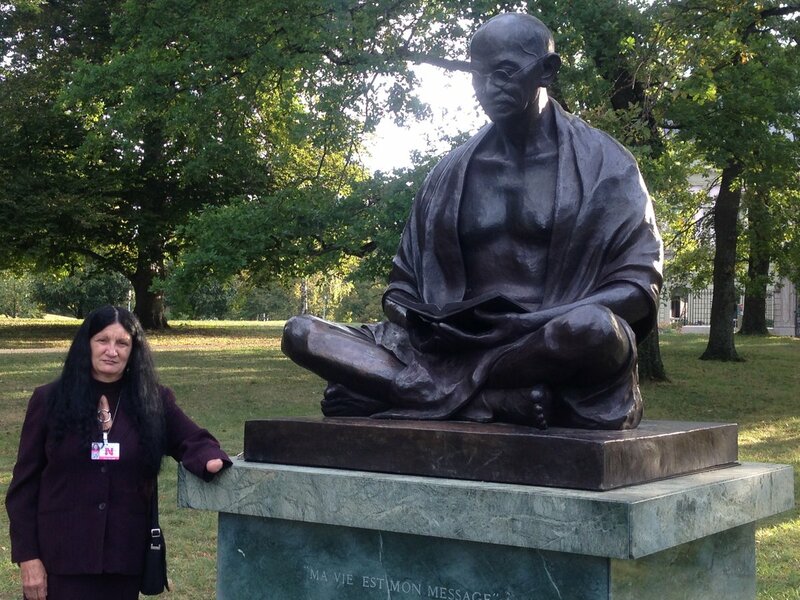 Sirley Avila Leon in Geneva, Switzerland at the statue of Mohandas Gandhi. The United Nations Human Rights Council has failed to hold the Castro regime accountable, and too often has legitimized the 59 year old dictatorship and its henchman. Lamentably, the Universal Periodic review has also been rendered impotent by the machinations of the despots in Havana, and the indifference of too many democracies around the world. Cubans are being beaten up, mutilated, and murdered by agents of the Cuban government for trying to exercise their human rights and the chief human rights body in the world says nothing about it. Nevertheless, over the course of this past year Cuban pro-democracy activists journeyed or tried to journey to the UN Human Rights Council to speak truth to power. (Cuban democrats did the same in 2009 and again in 2013 during the first two cycles of the Universal Periodic Review of Cuba). They all spoke truth to power, and their testimony exposes the lies propagated by the Castro dictatorship. My name is Sirley Avila Leon, I am Cuban and I will speak on behalf of UN Watch. 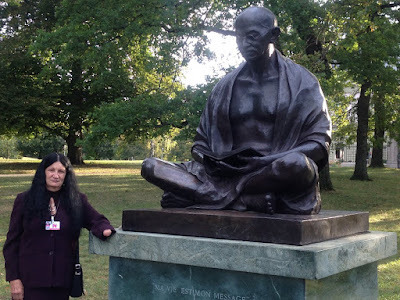 On May 24, 2015 living in Cuba I suffered an attack orchestrated by agents of the state, I was attacked with a machete to kill me cutting off my left hand and right shoulder while I covered my head with them, then cut my knees leaving me disabled for life. This was not the first attack I suffered, I was previously attacked several times, physically and verbally by the political police in Cuba: they burned my bed, I suffered arbitrary arrests, death threats, economic damages. Only for demanding better living conditions for the peasants and their children in a rural area of Las Tunas. My case is not isolated. In Cuba, the state continues to violate the human rights of Cubans, murders, imprisons and banishes those who demand rights and repress their families. To save my life, in 2016 I escaped from Cuba, since then my son, Yoerlis Peña Avila, has been threatened with death and repressed on several occasions. At this moment I fear for his life. Mr. President, as a direct victim of repression in Cuba, I ask: How can the Cuban government be a member of the Human Rights Council, committing so many crimes against humanity for 59 years? Later that same day I also spoke before the UN Human Rights Council touching on pressing issues: the continuing unjust imprisonment of Eduardo Cardet; the August 9, 2018 extrajudicial killing of Alejandro Pupo Echemendia, and the threats, harassment and detention of witnesses, family members and rights defenders who spoke out; and finally addressed with great concern the plight of Tomás Núñez Magdariaga, a Cuban political prisoner on his 40th day on hunger strike this past Monday. The life of Tomás Núñez Magdariaga continues to hang in the balance as he enters his 44th day on hunger strike on Friday.